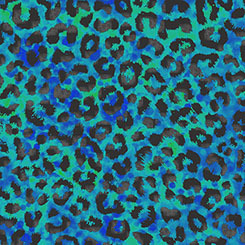 Blue-green blender with black leopard print. From the Toucan Do It! Collection from Ink & Arrow Fabrics. 100% cotton. 44"-45" wide.